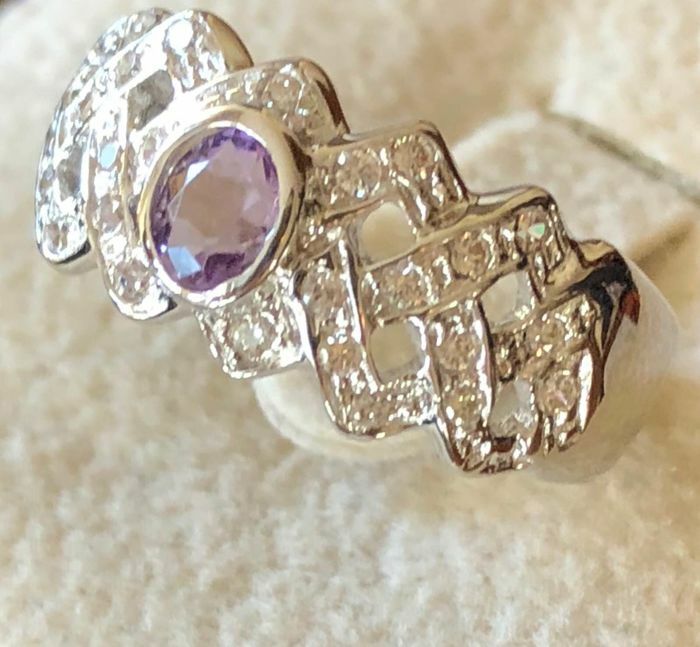 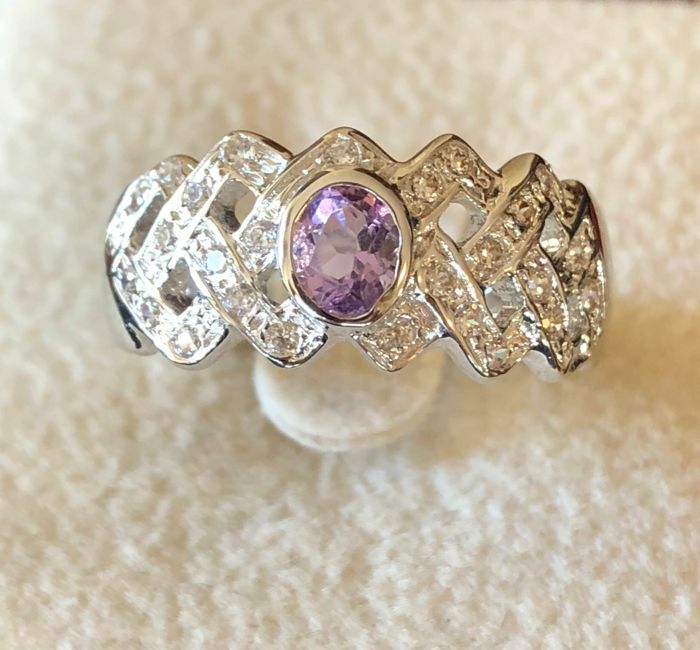 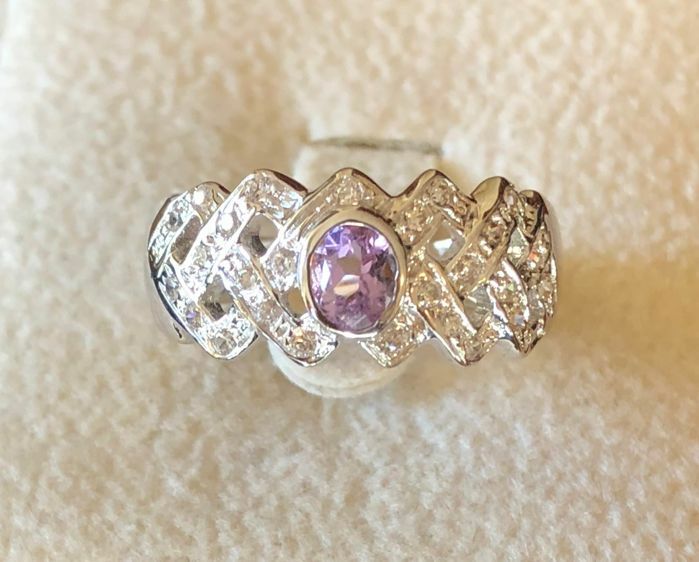 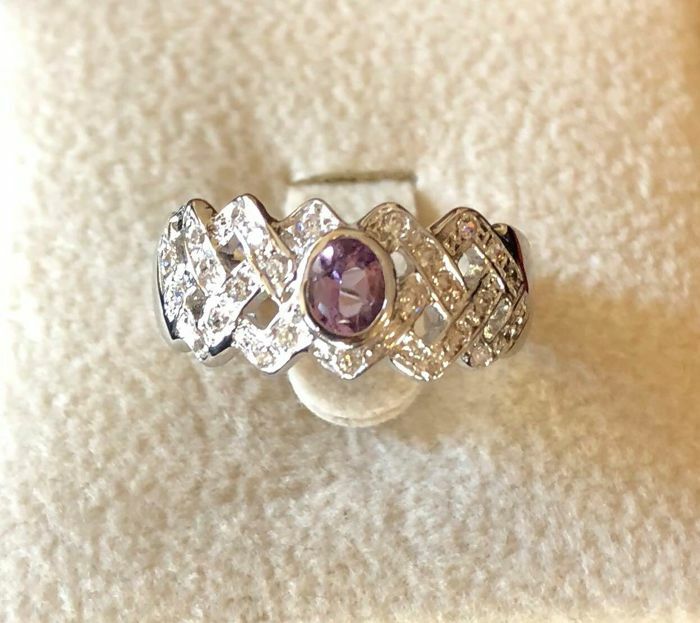 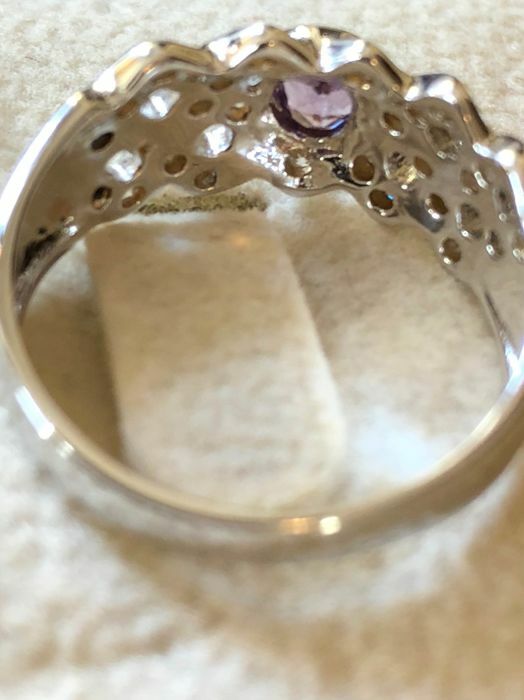 Ring with 18 kt white gold surround setting, with amethyst and brilliant cut diamonds. 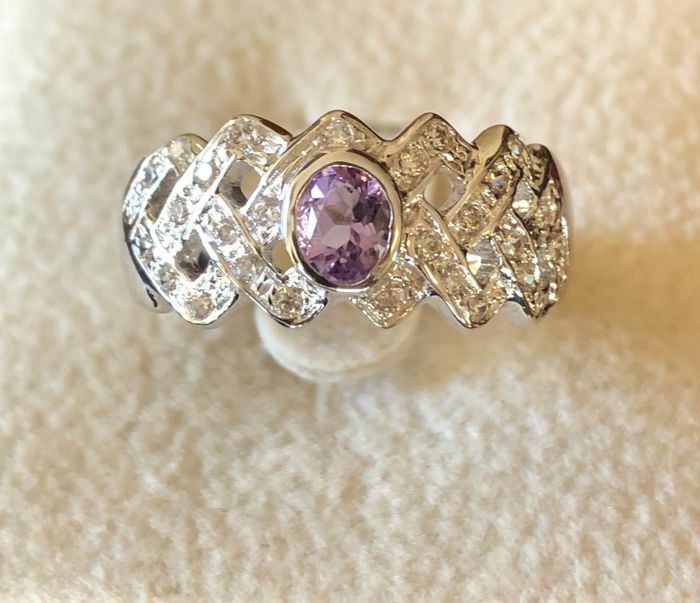 The openwork makes it refined and harmonic at the same time. 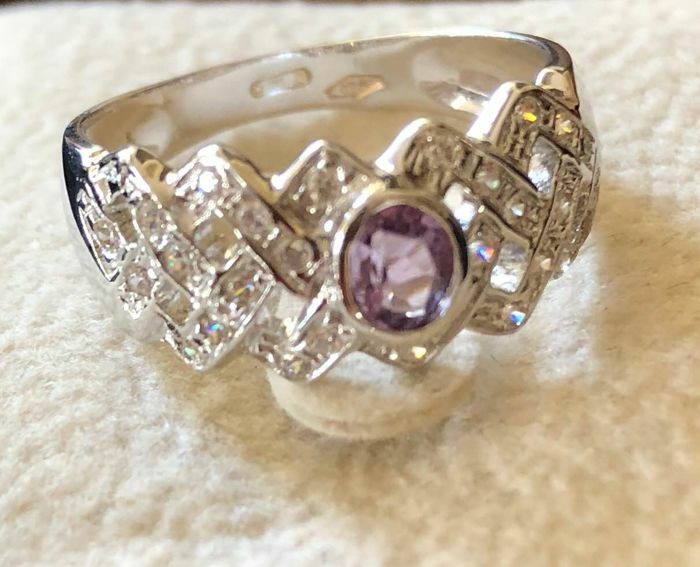 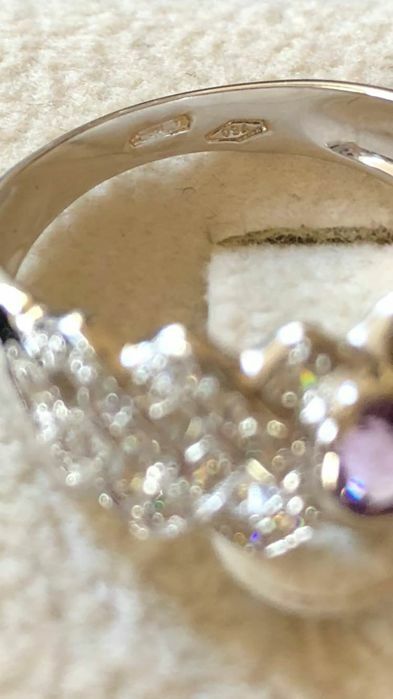 The ring features a 0.50 ct amethyst and 26 brilliant cut diamonds with a total weight of around 0.26 ct, clarity grade VS1/2, colour G.